I found Lu to be a great driving instructor. 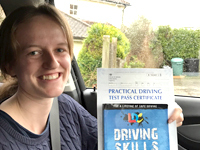 She is patient, clear in her teaching, supportive and teaches in a way that really helped me to feel confident in my driving and succeed in my test. The fact that she is easy to get on with made the whole experience more enjoyable. Thank you Lu. 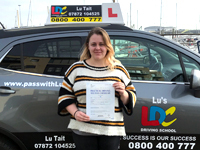 I really enjoyed my lessons with Lu she was really patient and very helpful answering the millions of questions I had and reassuring me that I was doing it right. I'm really glad I had her as an instructor. Absolutely fantastic start to 2019!!! 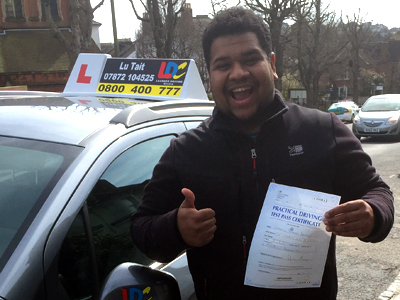 Great result for Louie Manara first time pass, on my first test of the year!! 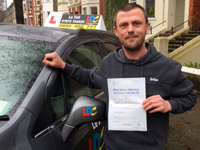 Congratulations Lou "I passed my driving test the first time thanks to Lu. She has been an incredible instructor and friend. 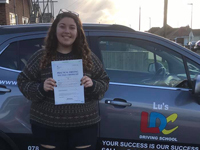 My lessons with Lu were extremely enjoyable, she had an incredible ability to adapt the lesson plan to what it is that I needed. Her patience and motivation quickly helped me gain confidence on the road. 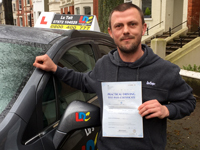 I could not recommend Lu enough!" — with Louie Manara. 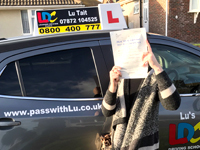 I passed my driving test first time with Lu. I booked a semi intensive course which is great because you manage to learn at a quicker pace. 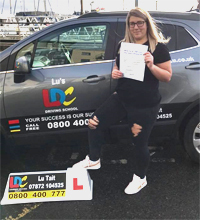 Lu is a great instructor she is very friendly supportive and positive. 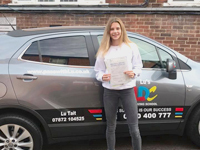 I would recommend Lu to anyone that is looking for a driving instructor. Thankyou so much for all your help. Just wanted to thank LDC and especially Lu Tait for her professionalism,calm, friendly nature. She helped me through a very nervous week,she went above and beyond what I expected, I don't think I would have passed without her by my side. Thank you once again.Its been a pleasure.I will recommend her to anyone that needs a helping hand.